because health and fitness doesn't come in a bottle. VitaminWater: What are you really drinking? Exercising on empty burns more fat? Everybody is different because of our race, gender, age, religion etc. Likewise with our bodies. The term somatotype is used in the system of classification of human physical types developed by U.S. psychologist W.H. Sheldon. 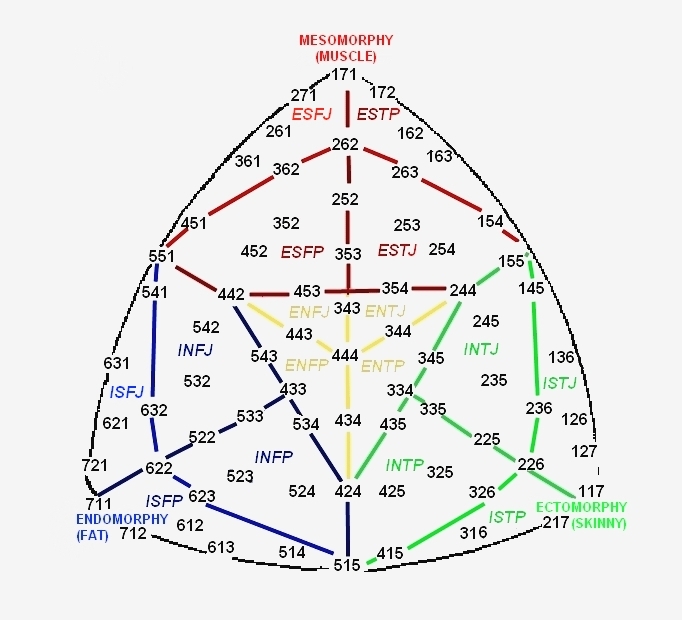 A somatotype number of three digits is determined for an individual classified by the system, with the first digit referring to endomorphy, the second to mesomorphy, and the third to ectomorphy; each digit is on a scale of one to seven. 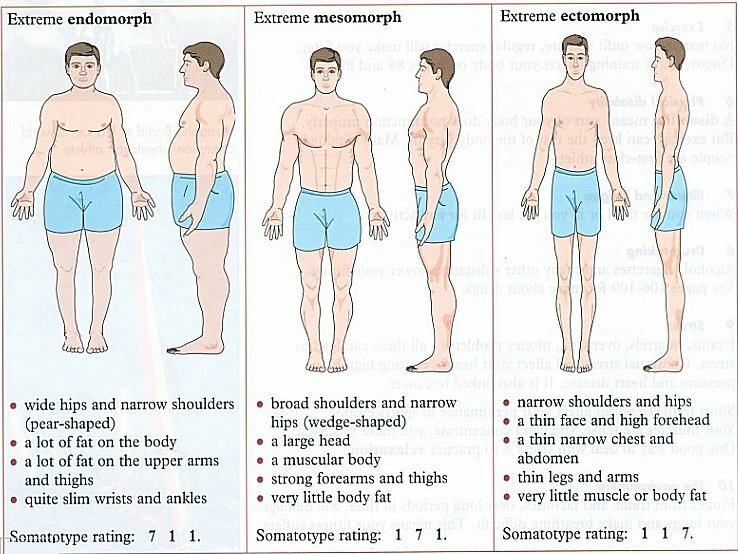 Hence the extreme endomorph has the somatotype 711, the extreme mesomorph 171, and the extreme ectomorph 117. 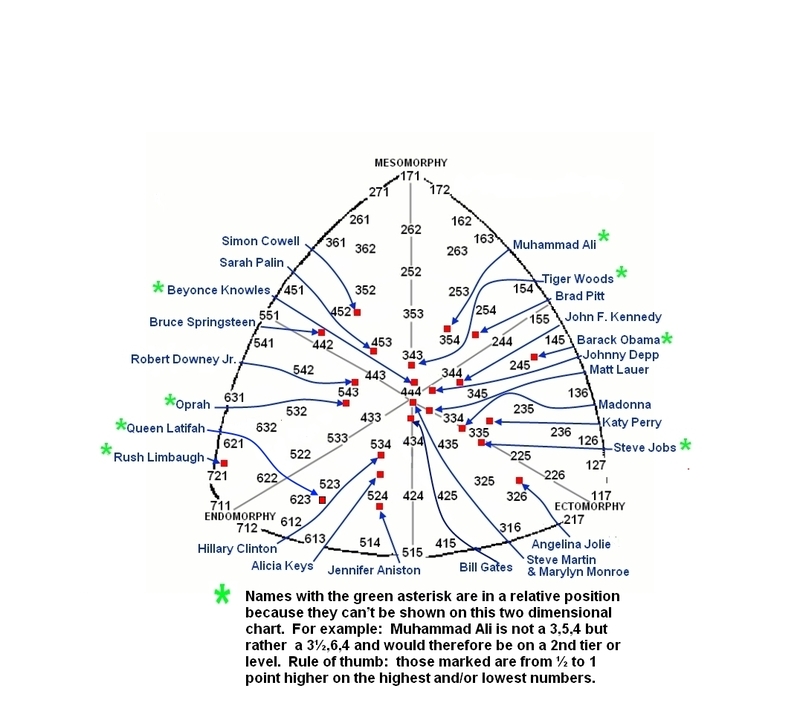 So just to get an idea of how you rank, have a look at the diagram below. So what are the benefits of each somatotype? Sports that require endomorphs would include sumo wrestling, short put, javelin and hammer throw. Sports that require mesomorphs would include bodybuilding, weightlifting, sprinting, boxing and rugby. Are we able to change our somatotype? It is a case of nature versus nurture. Although we cannot change what nature has given us, we can nurture ourselves through diet and training to resemble another somatotype. For example, an endomorph may resemble an ectomorph once he has achieved fat loss through diet and training. Another example would be that an ectomorph may resemble a mesomorph once he has increased his muscle mass. Looks like I’m an endomorphic mesomorphic ectomorph (253). What is your somatotype and do you find that the descriptions above are applicable to you? Looking for affiliates who might be interested in referring somatotype customers. 7 execises you could be doing wrongly.